The IRS does not impose an AGI limit on mortgage interest unless you occupy the rental. 1. Can You Write Off the Difference Between the Rent Collected & Mortgage Paid? 2. 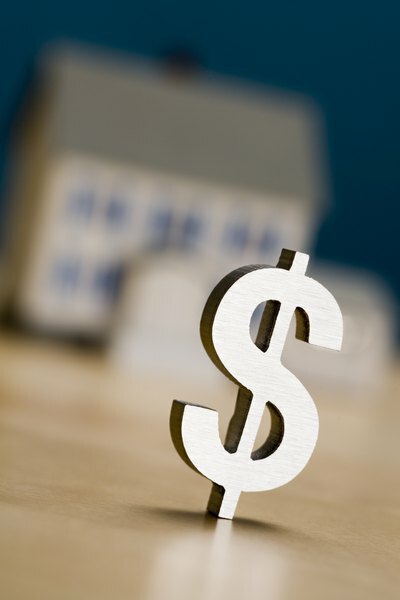 Is Interest Paid on a Second Home Deductible From Federal Income Tax? How you claim the mortgage interest paid on a rental home depends on the nature of the home. The Internal Revenue Service might require you to claim the mortgage interest as an expense on your business income taxes or as an itemized deduction on your personal taxes. If the home qualifies as a second home, your adjusted gross income determines the amount or mortgage interest premiums you can claim on your personal taxes. If the home is rented at fair market value or available for rent the entire year, the rental income you receive is considered a type of small-business income. You must report your rental income and expenses on Schedule E and Form 1040. If you occupy the home at some point during the year, the IRS might allow you to claim the mortgage interest premiums as a personal deduction. Whether you can deduct the mortgage interest for a rental home on your personal taxes depends on the amount of time you lived in the home. Because you rent out the home, to meet the IRS qualifications as a second home, you must use the home for more than 14 days or more than 10 percent of the days that you rent out the home, whichever is larger. For example, if you rent out the home for 260 days, you must occupy the home for at least 27 days for the interest to qualify as a personal deduction. If you rent out the home for 100 days, you must occupy the home for at least 14 days. The IRS does not implement an adjusted gross income limit on deducting mortgage interest for a rental property. The amount you can deduct is equal to the amount of interest you paid. Using the 1098 you received from the financial institution, enter the total amount of mortgage paid on the rental in the line labeled "Mortgage interest paid to banks, etc." on Schedule E. If you did not receive a 1098, use your receipts to determine the amount you paid and enter this amount in the line labeled "Other Interest" on Schedule E.
The adjusted gross income limit for claiming a deduction for mortgage interest depends on your marital status. As of 2013, if you're married filing jointly with your spouse and your adjusted gross income exceeds $109,000, you can't claim a deduction for mortgage interest on your personal taxes. If you're single or filing separately from your spouse, your adjusted gross income cannot exceed $54,500. If you're married filing jointly and your income is less than $100,000, you can claim all the mortgage interest you paid on Schedule A, but if your income exceeds $100,000, your maximum deduction begins to phase out until you reach $109,000. The phase-out for single or married couples filing separately begins at $50,000. Can a Boat Be Considered a Second Home for a Tax Deduction?